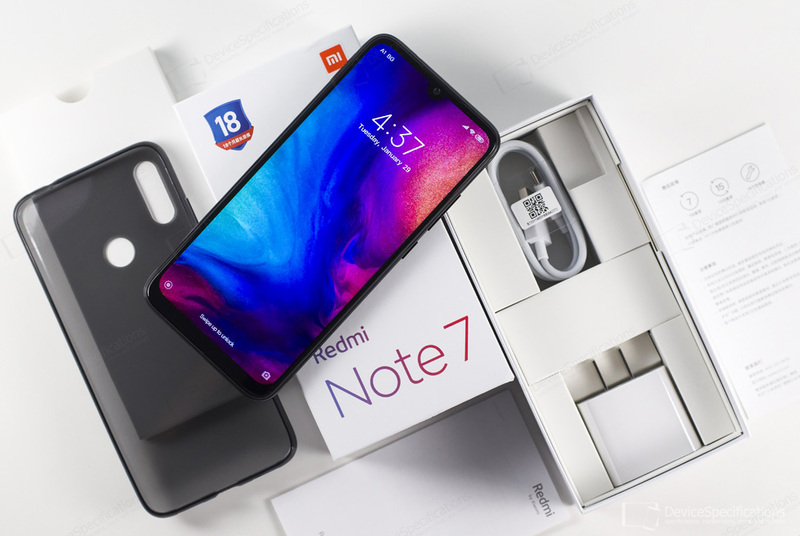 The Redmi Note 7 is the first Xiaomi smartphone that uses the Redmi brand as a separate Xiaomi one. From its very beginning, the Redmi series has been established as a symbol of cost-effective smartphones and the Redmi Note 7 is no exception. This attractive handset with an even more attractive price is yet another epitome of Xiaomi's ambition to offer meaningful added value to its customers by creating reliable and good looking smartphones that bring the latest trends in design and performance capabilities to the masses. What's more, this model demonstrates maturity and confidence - of both the Xiaomi and Redmi brands. The path to reaching where Xiaomi is right now has been rocky and uncertain but it has paid off. Redmi Note 7 is the current most searched smartphone in the market and perfectly pre-heats the audience for the upcoming Xiaomi flagship smartphones that are about to be announced this spring - the Mi 9, Xiaomi's foldable smartphone and the 5G version of the Mi MIX 3. Xiaomi Redmi Note 7 features a 6.3-inch IPS display from Tianma. It is covered with a 2.5D curved Corning Gorilla Glass 5 and has a resolution of 1080 x 2340 pixels, a brightness of 450 cd/m2, and 1500:1 static contrast ratio. The U-notch of the display houses the 13MP OmniVision OV13855 front camera with an f/2.0 lens. It offers AI beautification and portrait shooting plus facial recognition and unlocking. The back of the handset is covered with a 2.5D curved Corning Gorilla Glass 5 as well and houses a dual rear camera module. The two shooters are paired with a dual LED flash and PDAF and are accompanied by a rear-mounted fingerprint sensor from Fingerprint Cards. The main camera of the model combines a 48MP Samsung S5KGM1 sensor and a 6-element lens with an f/1.8 aperture. It offers a special night mode for shooting in low light conditions. The blurred background on the Portrait mode is enabled by the auxiliary rear camera that uses a 5MP Samsung S5K5E8 sensor. AI photo shooting offers automatic recognition of more than 200 scenes and adjusting of the photo properties accordingly. Under the glass hood, you will discover a 4000 mAh battery paired with a 5V/2A QC 3.0 fast charger. Actually, the battery supports QC 4+ but you have to supply your own QC 4+ charger. The Redmi Note 7 is based on a Snapdragon 660 AIE mobile platform that is built on the 14nm LPP (Low Power Plus) process. It employs eight semi-custom Kryo 260 CPU cores. The Cortex-A73 cluster of four is clocked at 2.2GHz and the other Cortex-A53 cluster of four ticks at 1.84GHz. An Adreno 512 GPU clocked at 650MHz manages the graphics department. In terms of RAM, the model arrives with a double-channel LPDDR4X RAM clocked at 1866MHz in three variants - 3/4/6GB. There are three storage versions as well - 32/64/128GB. The built-in memory is of the eMMC 5.1 type and can be expanded with up to 256GB. The connectivity options of Redmi Note 7 are quite extensive and include support for Bluetooth 5, Wi-Fi Hotspot, Wi-Fi Direct, Wi-Fi Display, dual-band Wi-Fi a/b/g/n/a. The model supports LTE Cat. 18 with dual-4G and VoLTE and the following network bands: 2G GSM (850, 900, 1800, 1900 MHz), 2.5G CDMA 800 MHz, 3G W-CDMA (850, 900, 1900, 2100 MHz), 3G TD-SCDMA (1900, 2000 MHz), 4G LTE (850, 900, 1800, 2100, 2600 MHz), and LTE-TDD (1900, 2000, 2300, 2500, 2600 MHz). There are an infrared port, 3.5 mm jack and a USB Type-C 2.0 with OTG support onboard as well. The Redmi Note 7 supports GPS, GLONASS, and Beidou and runs on MIUI 10.2 based on Android 9 Pie. 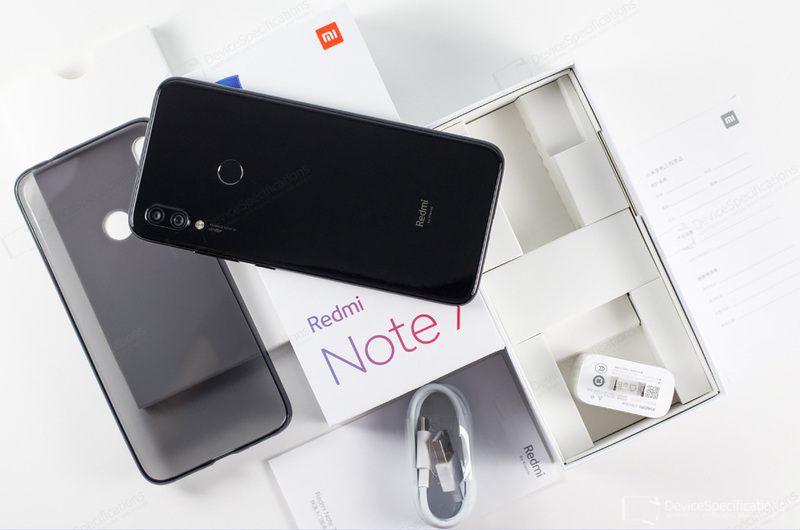 Complete Xiaomi Redmi Note 7 specifications.